You are stunning. I am in love with your tights. Isn't it funny how fast things can change? All my best! You are stunning and inspirational! I am going to do one of your beautiful scissors necklaces :) I hope your recovery is going well! 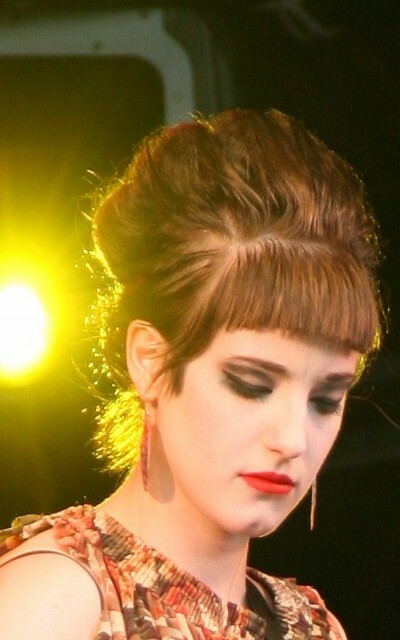 And I really want to see the Rust coloured Mad Men style dress. I am glad that you are well enough to put together this post. Love the dreamy pics, and adore Paloma faith.Interesting to know the scissor´s project is still rolling. Great news. Looking forward to see you wearing your fist outfit after the op. In the mean time patiens. you are breathtaking in these images. the hair "accessories" are a whimsical touch. i'm keeping up with your progress best i can. it makes me smile. 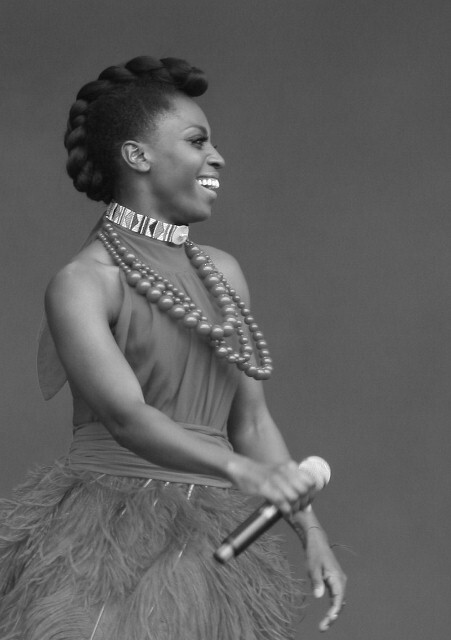 i'm familiar with skye edwards (huge morcheeba fan here) but not the others; glad to hear of them. I love the idea of putting the leaves in your hair- flower chains are so popular, it's nice to see someone take an artsy angle on that style for fall. Creative! u are beautiful girl! i love ur hair! i'm so happy u recovered so fast! looking absolutely STUNNING! and thank you so much for the necklace. can't wait to wear it on my blog! legs, legs, legs and that beautiful face. well you know I've just got to do an homage to you with leaves strewn about in my short shorn hair, because you look simply devastating in them. Nice idea with the leaves! That is so true and so wise (about the brain ignoring pain). There will be a time soon when you'll even feel that way about the surgery/post surgery period - it will be like 'oh it wasn't that bad'. I remember your mom writing about you storing up images like a squirrel for winter. I LOVE these shots! The leaves on your head, like a crown. And I love that look on you. It's like you're already standing taller in these shots: I actually thought it was after. In hindsight, you did manage to hide your torso so well. Well, watch out world now: you will now float thru life, spine perfectly straight, like a ballerina - it's really extraordinary to see - and graceful, and you'll be able to wear whatever you want, with nothing to hide. I bet it will be like childbirth. When I've asked mothers if it hurts - giving birth - they always say somehow you forget about it when you see the results. I love the leaves in your hair its such a unique, quirky idea and the photos look great! I am in love with your jumper and the tights are amazing. That bag is definitely on my Christmas list! Overall flawless images!! I haven't been able to read your whole post yeat but will when i have time! You look fantastic in these photos! There is a photo, and a hug for you, amongst my favourite bloggers, in my post today. I see you have been through some tough healing time...sounds like you are strong and made it through ok. Its amazing the bodies capacity to cope isn't it! Love the addition of the leaves, this big floppy top looks great on you great figure. Beautiful hair, face, eyes and all outfit plus pictures....FANTASTIC DEAR!!!!!! paloma is brilliant. and i love the tights! these tights are amazing on you! you pull them off ever so well. 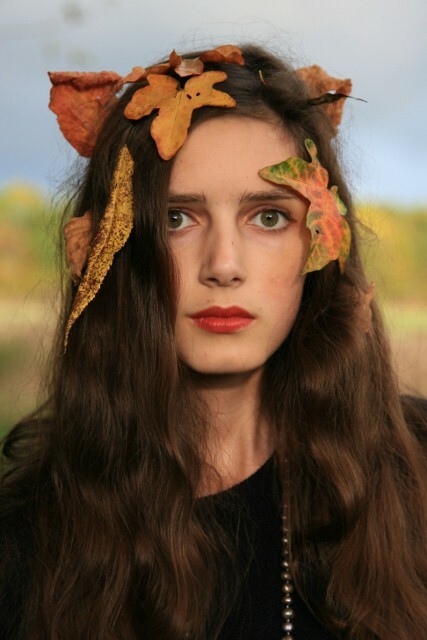 i adore the shots with the leaves in your hair, the colours compliment you hair, skin and eyes beautifully. I can't wait to recieve them; I'll send you and email when I do. Thanks again! 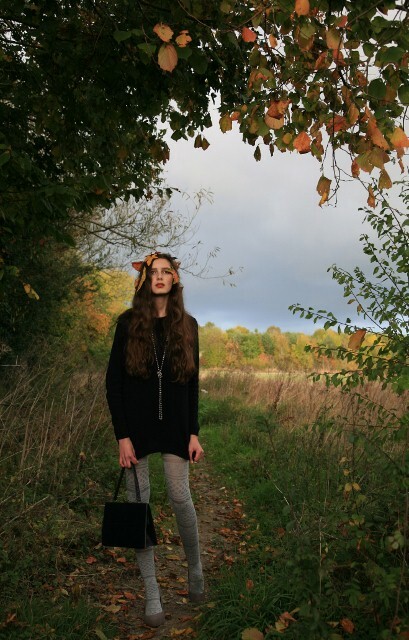 You look so lovely in these pictures-the autumn leaves in your hair are the perfect artistic touch. you look really amazing in these shots! the idea of putting leaves in your hair rocks! I know a girl in my year at school who just had Scoliosis surgery, and i love your style. Super cute blog! Pics are so fab! love your tights & the leaves in your hair. such a cute idea. you look gorgeous!